Drift Bridge Honda is proud to support military personnel and people that are part of the public service. Buying a brand new Honda is now more affordable than ever if you are part of the DDS or Blue Light Card Programme schemes, with discounts ranging from £2,806 on the base trim of the latest Honda Jazz, toupwards of £8,119 – a discount of 24.5% – on the range-topping trim of the Honda CR-V SUV. 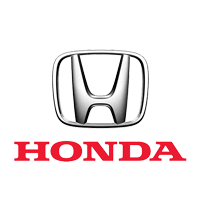 For a comprehensive list of the available discounts, as well as more information on the new Honda cars we sell, browse the website and get in touch with us. To find out more about the complete list of discounts and brand new Honda models available for you at Drift Bridge Honda in Gatwick and Redhill, contact us at one of the phone numbers available on the page or fill in an online enquiry form and a team member will be in touch shortly.